Aston Villa have made their second high-profile business appointment this year. 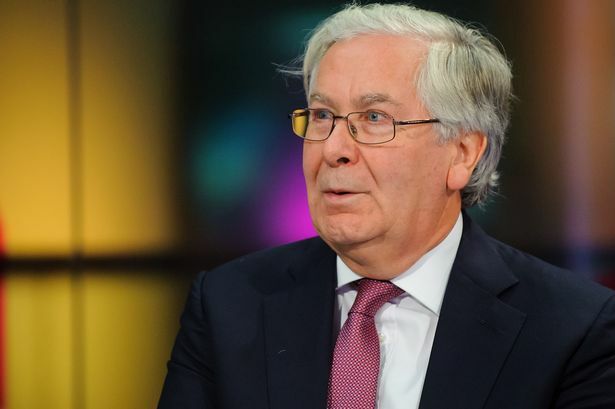 Mervyn King, the former governor of the Bank of England and also known as Lord King of Lothbury, has joined the Villa board of directors. His appointment comes just three weeks after Steve Hollis, the former Midlands regional chairman of financial services firm KPMG, joined the club as chairman. Aston Villa currently sit bottom of the Premier League, ten points adrift from safety and facing the prospect of Championship football next season. Lord King led the Bank of England from 2003 to 2013, covering a very intense period during which major problems beset banks such as RBS, Northern Rock and Lloyds. He is a life-long Villa supporter who has "a deep understanding" of the club and the role it plays in the lives of supporters, according to a statement issued today. "He has always taken a close interest in the workings of the club and adds to the board a strong, well-informed point of view which will be invaluable as we look to take the club forward," it added. Lord King said: "It is a privilege to be asked to serve as a director of this great club. I watched my first match at Villa Park more than 55 years ago and have experienced the highs and the lows since then. "I shall do my best to help the rebuilding of Aston Villa as together we return it to its position as one of the top clubs in the world." Mr Hollis added: "I was delighted when Mervyn agreed to join the board. His dedicated support for the club is well known. "Mervyn successfully steered the Bank of England through the most turbulent economic headwinds in living memory and his appointment to the board is a huge boost as we plan our path back to more successful times."